However there’s a chance you may be wondering why on earth Lufthansa would have fitted its old seats in its relatively new A380 double-decker. Considering that it has a great Business Class product installed in the 747-8 which is also a new aircraft, it seems a strange move. 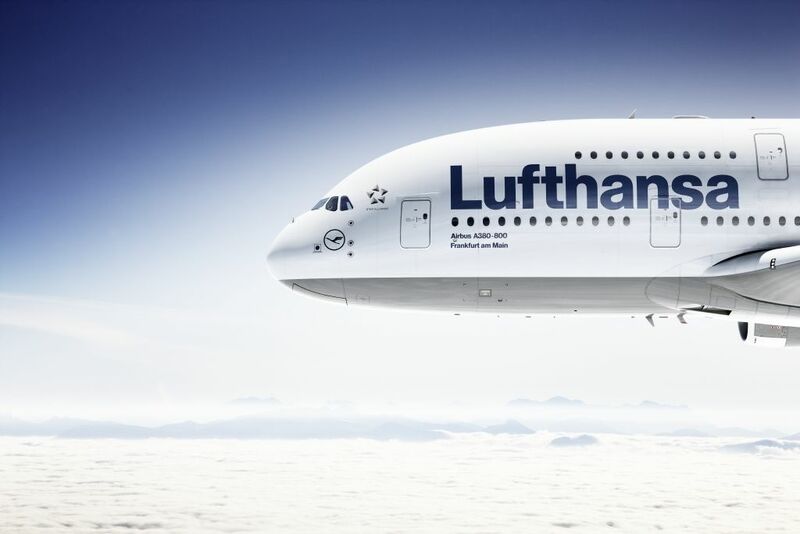 The A380 does feature Lufthansa’s new First Class product, but the CEO of the German airline has explained that seat manufacturers were unable to supply the necessary quantity in time. 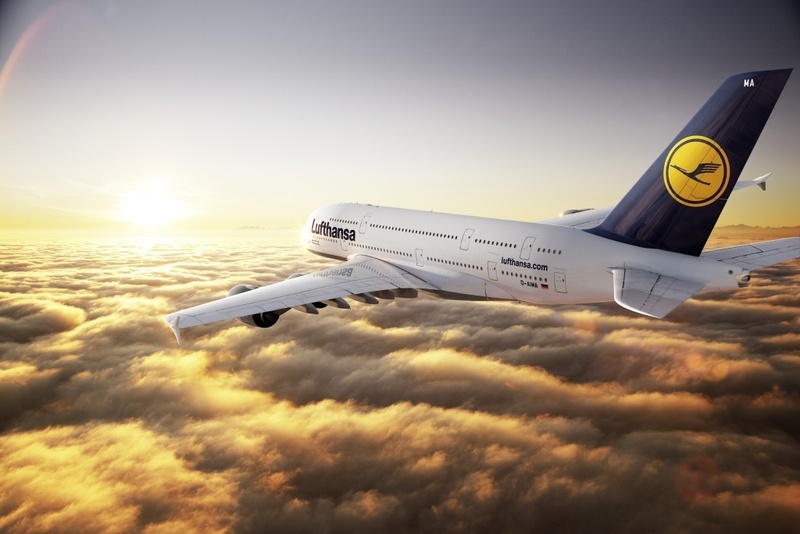 The good news is that Lufthansa is now in the process of retrofitting its A380s with the new Business Class – presumably at considerable expense. The bad news is that this particular route is not one of the first in line to benefit from the refurbished planes so for the foreseeable future the experience will be the same as the one I had here on flight LH572. I was going to Africa! Hey, I was going to Africa! This also reinforced something I’ve become increasingly aware of in recent years: you can spoil all the pre-travel excitement and anticipation by worrying about what Dave in Detroit hated in the hotel you just booked or Alice in Auckland found unacceptable about the flight you are looking forward to. Find someone whose opinion you value and believe rather than trawl through the comments of strangers who give a hotel one star because a light bulb was broken and they didn’t just call reception to get it fixed. Sorry – more on this in future articles; now let’s get back to the flight report. This particular flight was the longest stretch of my journey to Zimbabwe – the entire routing (a single points redemption) was as follows: Trondheim – Copenhagen – Frankfurt – Johannesburg – Victoria Falls – Johannesburg – Frankfurt – Oslo – Trondheim. 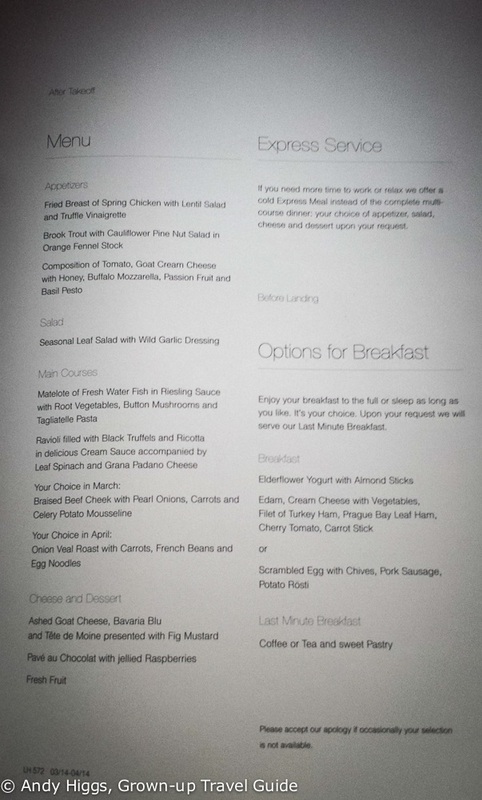 Now as much as I love to fly in Business Class it isn’t an expense I generally feel is justifiable if paying cash. I have only recently tried anything other than Economy and unless there are special reasons then I’d rather put up with the cheap seats and keep the money. However, since the crafty use of frequent flyer schemes can actually make it cheaper to fly in a premium cabin than Economy, I will always try to redeem miles for journeys over 6 hours or so. 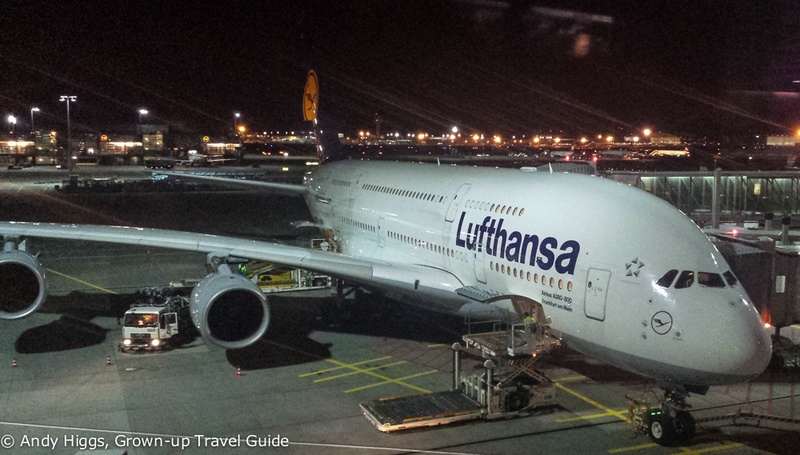 I’m no plane-spotter but I have to admit that I was really excited to fly the world’s biggest commercial airliner. 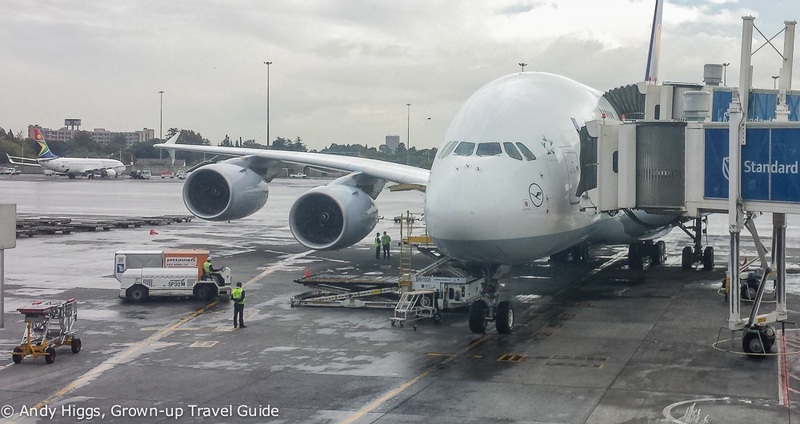 The A380 may not be the most streamlined or attractive of planes, but the mere fact that anything weighing up to 560 tonnes and carrying 526 passengers on two full flight decks can get off the ground seems to defy both logic and physics. Since I was on a connecting flight I had already checked in and sent my bags all the way to Zimbabwe back in Trondheim. Frankfurt is an infuriatingly complicated airport to navigate and I always try to make sure I have plenty of time as the distances between gates can be huge. A big perk of flying Business or First Class is that lounge access is included. On this occasion my flight from Trondheim via Copenhagen landed some time before the Jo’Burg connection, so I had a little over two hours to make the most of the ground service. 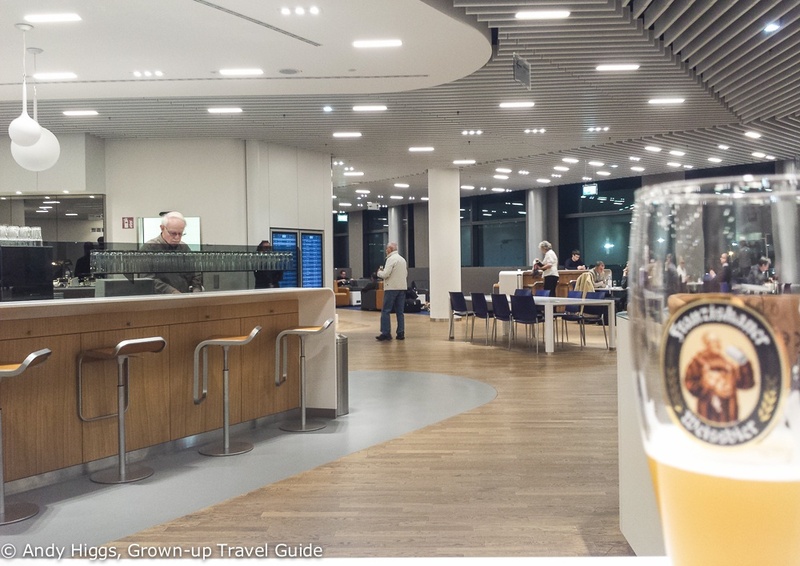 There are several lounges at Frankfurt and it’s worth checking online to see which one is most convenient for your onward journey so you can relax until your plane is ready. As well as free food and drink (including, rather splendidly, Weizenbier on tap) the Z50 lounge I made use of has comfortable seating, plenty of working space, fast and free WiFi and plenty of power sockets. Even better, it has showers. I took full advantage of the facilities on the way back and as long as you remember to pack a change of clothes in your carry-on bag a hot shower is a godsend. After making the most of the catering and internet connection it was time to find gate Z66. The plane was ready and the flight was actually boarding when I arrived and joined the long queue of Business and First Class passengers who were first in line. This is another perk of Business Class – you get ‘priority boarding’ which essentially means you are first on the aircraft; in addition your specially-labelled bags are meant to come off first at the other end too. It’s worth pointing out that I’ve seen both of these concepts break down but when they work they can save you a little time. It was clear that a lot of other people would be flying in the same cabin; the A380 has a slightly staggering 98 seats in Business Class as well as 8 in First, which goes some way to explain throng of people in front of me. After having my ticket checked and walking down the corridor I took advantage of the last chance for a quick snap of the winged monster before following the other passengers to the air bridge for the upper deck. After stowing my bag I had a good look round and a closer look at my seat. Okay, the seats look a little dated – especially compared to the new Business Class – but it’s still a BIG step up from Economy. Let’s get the most important part out of the way first; as you can see from the picture above, when passengers want to sleep, they can lie flat. The problem is that when fully extended, the ‘bed’ slopes downward, which is not the most comfortable position to be in when trying to get some shut-eye. Having said that, it’s a bit much to call it a ski-slope (as I have myself done before, I admit). 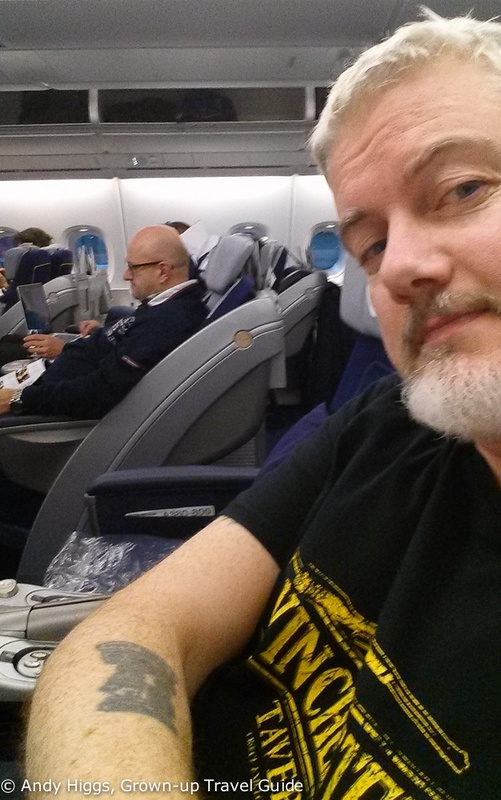 The most surprising thing about the seat was that I actually slept really well in it – in fact it was the the longest sleep I’ve yet managed on any aircraft. Note that I’m deliberately excluding a couple of times when younger which with hindsight fell more into the category of alcoholic stupor rather than peaceful slumber. Also note that the excellent wines served on this flight may have played a part in my ability to nod off. In any case, the extended seat is at least long enough for most people at about 2 metres and the width isn’t too bad either – 26 inches. Despite the crowds seen during boarding the cabin was far from full and I was lucky enough to have an empty seat next to me. There isn’t a great deal of storage space unless you are smart enough to get a window seat as these have stowage bins right beside them. There is a small compartment under one armrest between which is fine for phones etc., and a rectangular slot between the seats which initially contains bottled water and the amenity kit and can be used for a tablet, netbook or similar. Incidentally the amenity kit held no surprises, containing eye shades, a toothbrush and toothpaste, socks, Nivea cream, and headphone covers. A pillow and blanket were waiting for me too. Each seat has a rather small LCD screen, operated with a wired handset. A decent pair of headphones were stashed along with the remote control. 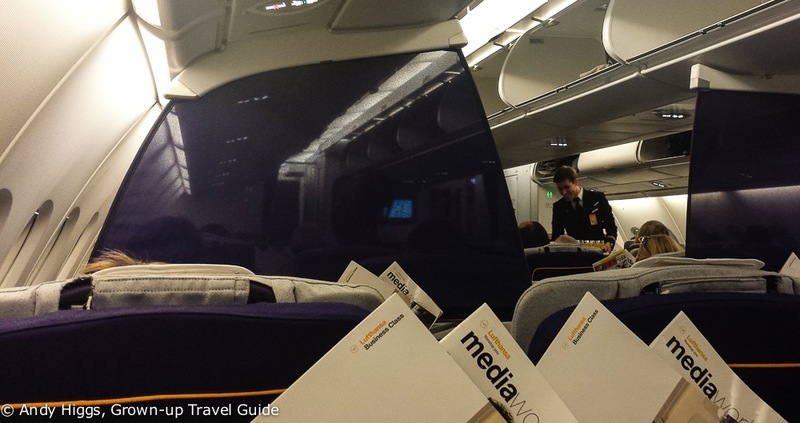 The entertainment was the standard (or slightly sub-standard) Lufthansa fare – perhaps 30 films and 60 TV series, with 30 radio stations, 200 on-demand audio CDs and a range of multi-player games. Sounds good, but there was a lot of junk on there. The real-time footage from cameras on the aircraft’s nose, tail and undercarriage makes an excellent alternative to crappy US sitcoms, though, and I was also pleased to find ‘Captain Phillips’ was on the list as I’d missed it at the cinema. A 10 inch screen was hardly the BFI IMAX but it was better than nothing. The seats have AC power outlets for powering up devices and of course a tray table in one of the armrests. Having settled in we were soon offered a drink before take-off and had a chance to make our choice from the menu. It may not be Bollinger, but German Sekt isn’t a bad way to toast farewell to Frankfurt. On this night flight Business Class gets a three-course dinner with drinks and dessert and then breakfast a couple of hours before landing. 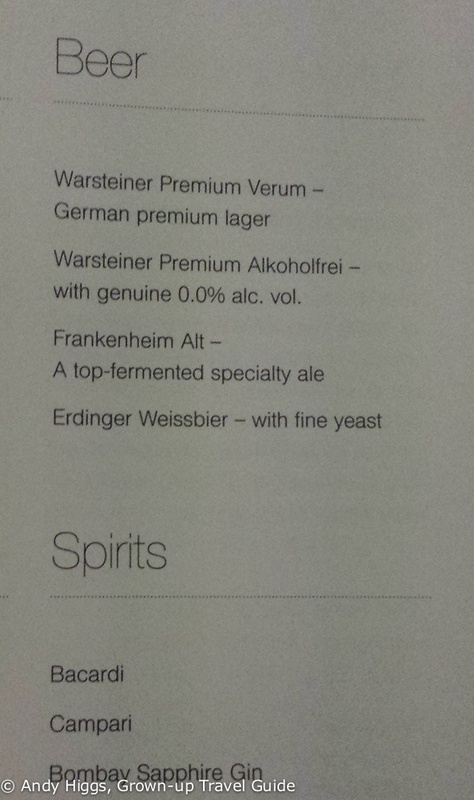 Lufthansa delivered on the beer front by serving Erdinger. Good call, although I stuck mostly to red wine. Flight 572 took off on time and the power of the engines needed to get it up in the air is something to experience. Having said that, it’s as smooth as silk and impressively quiet. Service was excellent. The staff were friendly and very efficient. You kind of expect the latter from a German airline but not always the former, but the crew did an excellent job in making us feel at home for nearly 11 hours up in the air. Breakfast was just as good as the meal the night before as was the service, and before long it was time to prepare for landing in South Africa. I watched the whole procedure on the ‘tail cam’ which was fun and better than watching through the window as it was steadily raining. With that I was finally back in Africa and had arrived in style. Now most people who fly in Business Class seem to do so for one of three reasons – their seat is paid for by a generous employer, they are redeeming frequent flyer points or they consider it worth the extra over Economy in terms of arriving reasonably refreshed. 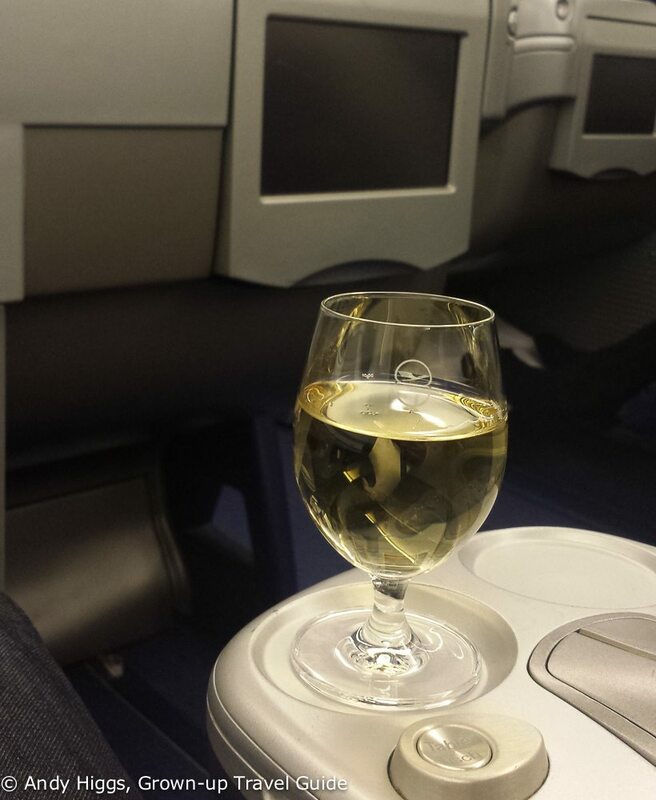 Regardless of which category a passenger falls into, he or she will face the great irony of flying Business Class. If you sleep as much as possible you’ll miss out on all the service and amenities that justify the premium over Economy. Would I pay USD 4550 for a return flight from Frankfurt to Johannesburg? No, of course not – not even for First Class. In my opinion the only way to do this is to use frequent flyer miles and this particular trip was superb value. The only problem is that you can’t do it anymore. At least, not the way I did. 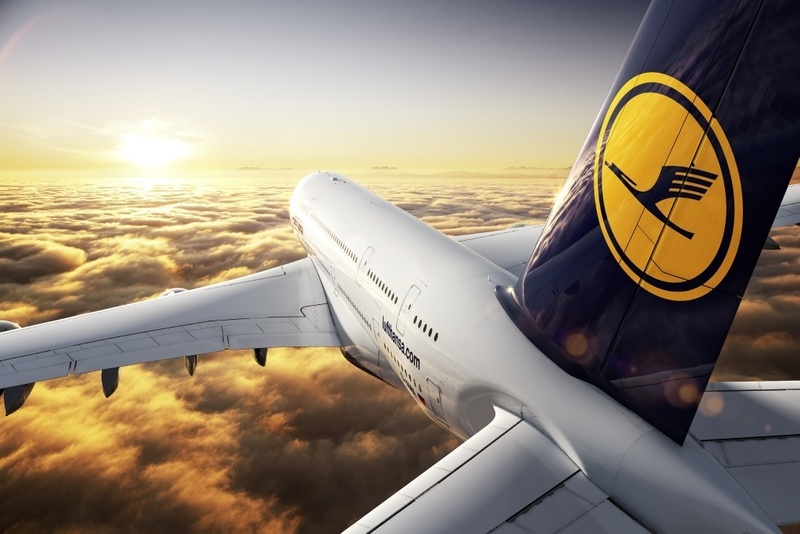 As US Airways is no longer a member of Star Alliance since the merger with American Airlines, you can’t redeem its miles on Lufthansa anymore since the German airline is still a Star Alliance carrier. From Johannesburg I had a quick change of plane for my flight up to Victoria Falls and my adventures in Zimbabwe. 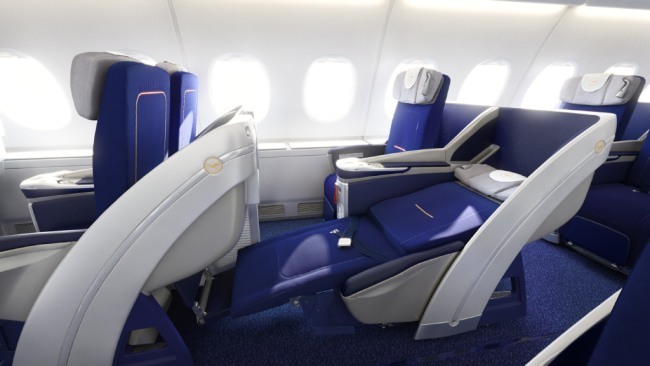 Business Class configuration: 98 seats on upper deck in 2-2-2 layout.